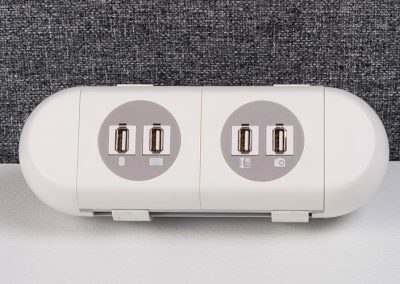 PolarICE rewrote the design rules for the desk top power modules when we launched it in 2008 and continues to be one of our best selling products. 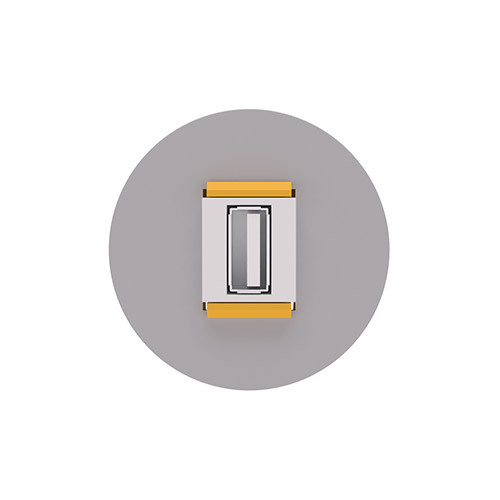 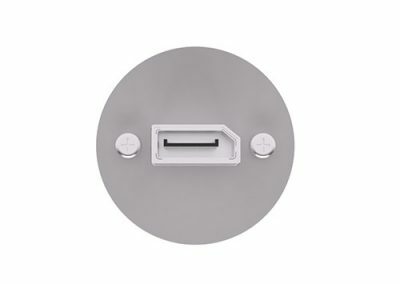 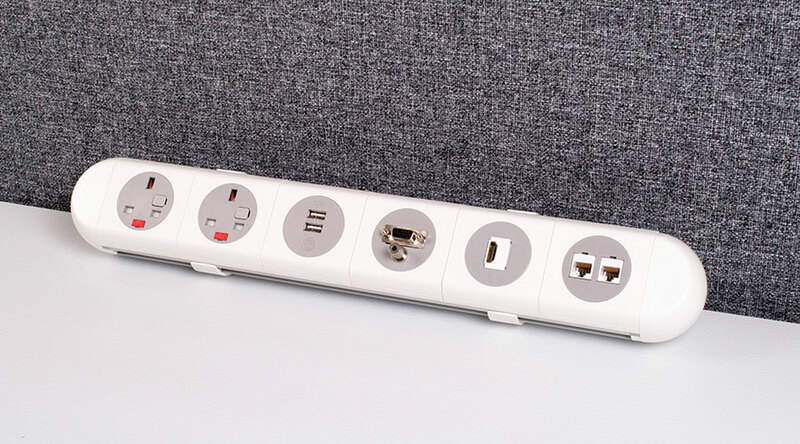 Clip on moulded front and rear decorative frames with circular socket apertures, create an original and distinctive design perfectly matched to contemporary office furniture. 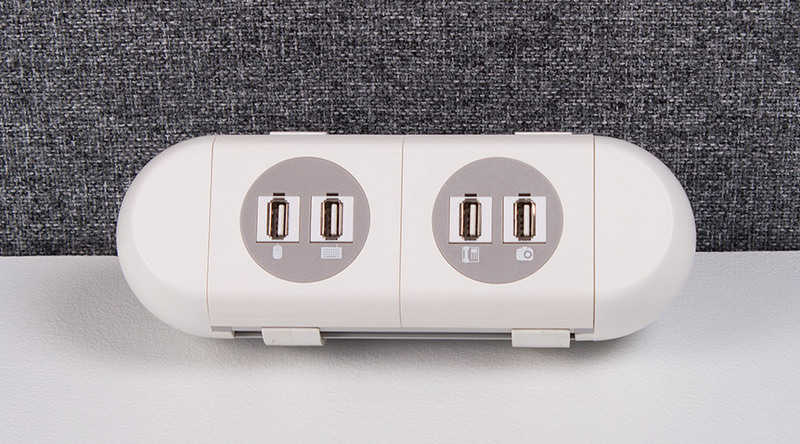 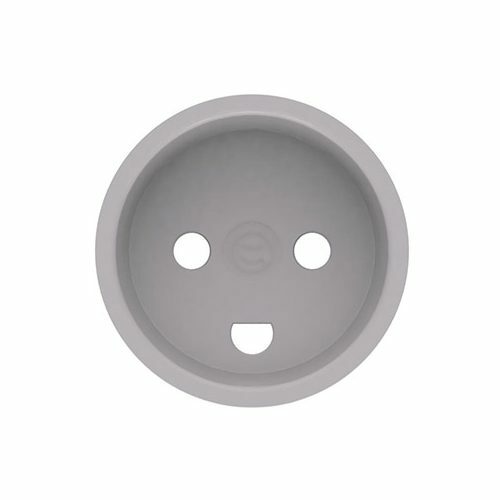 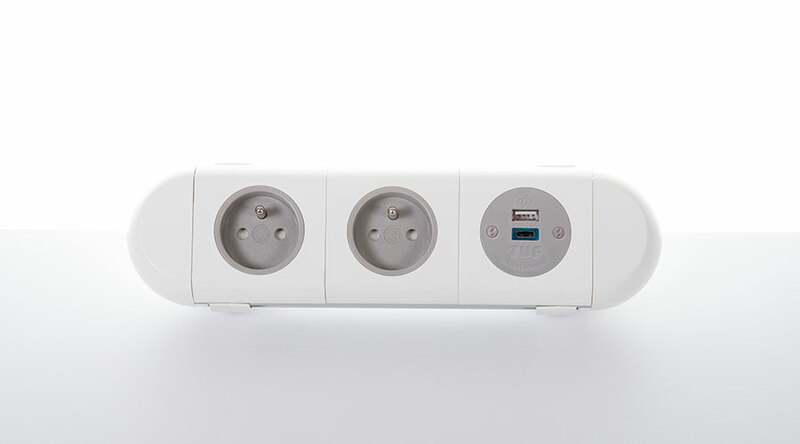 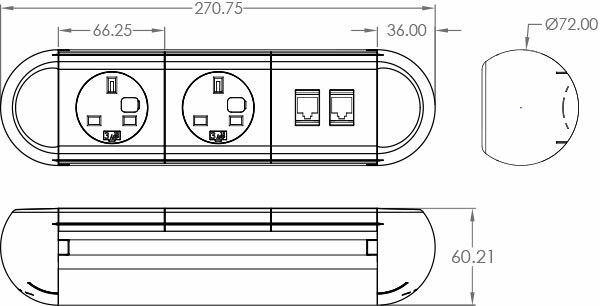 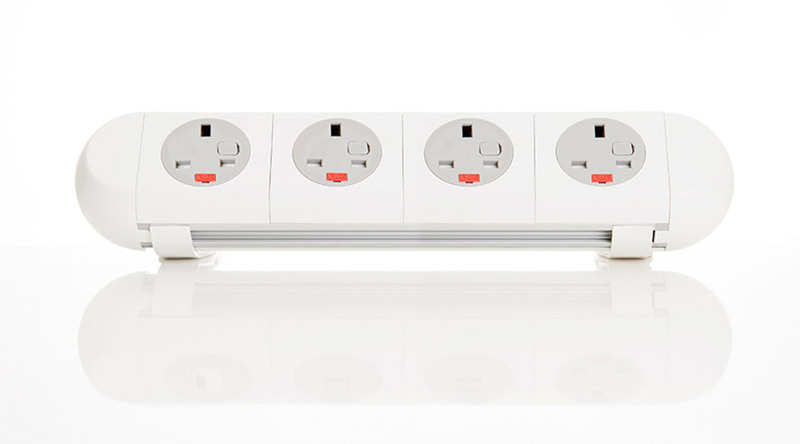 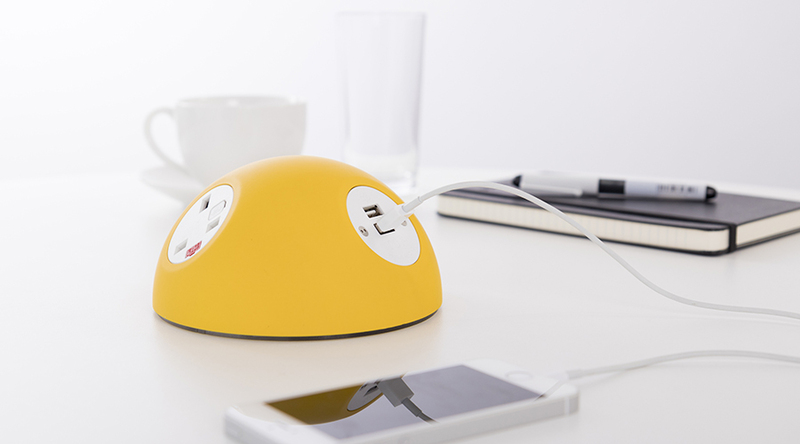 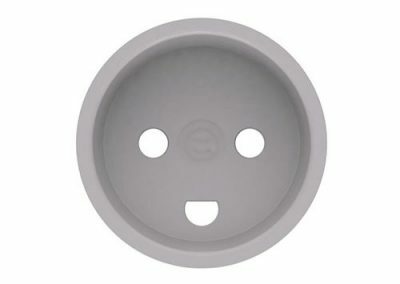 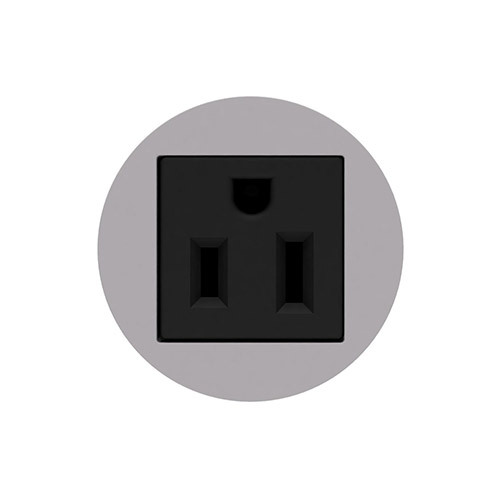 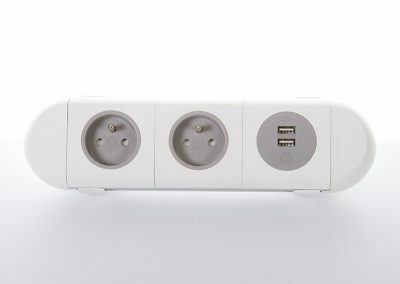 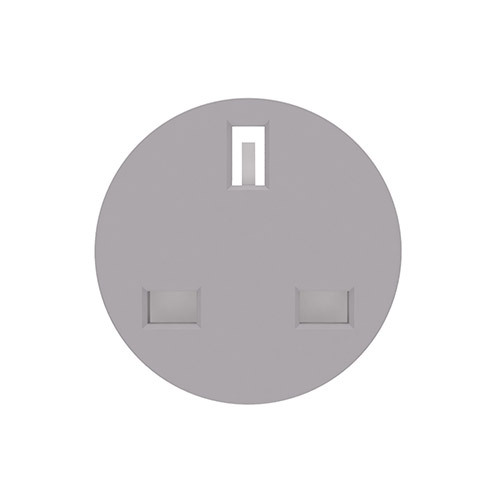 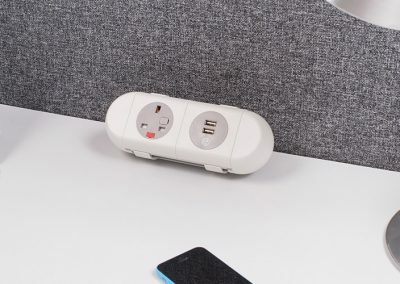 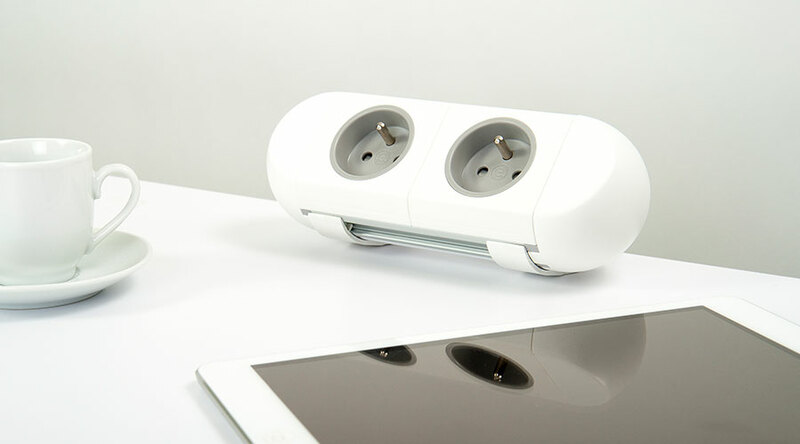 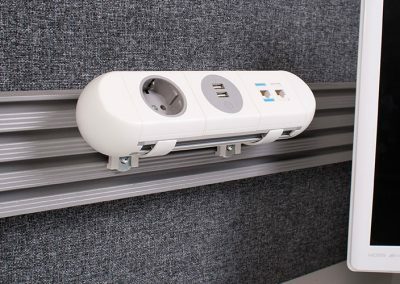 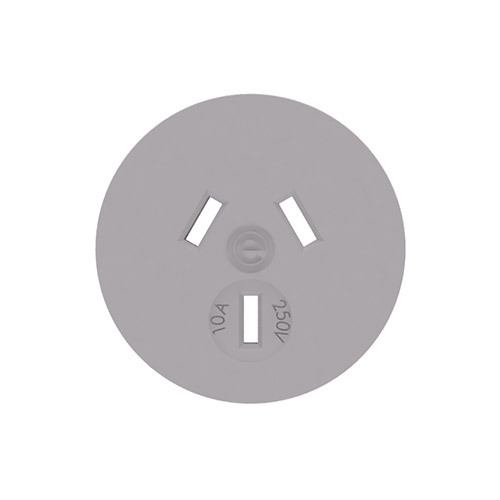 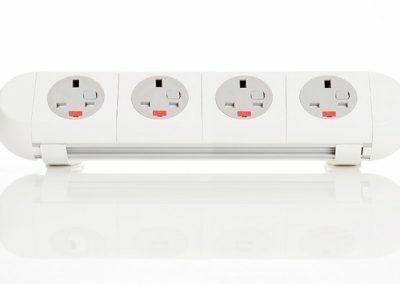 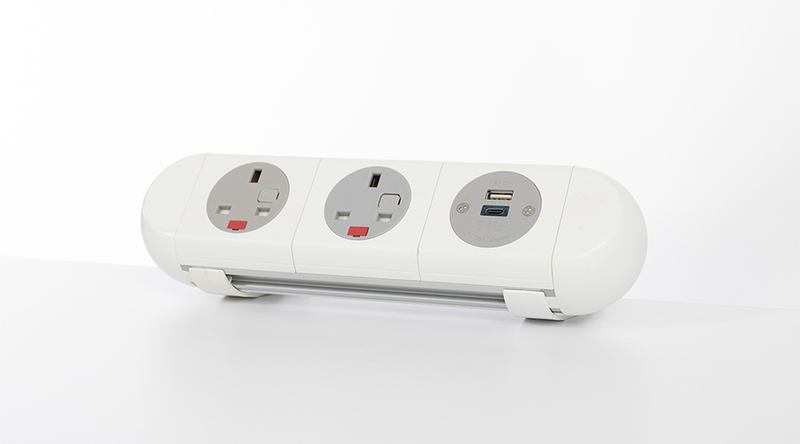 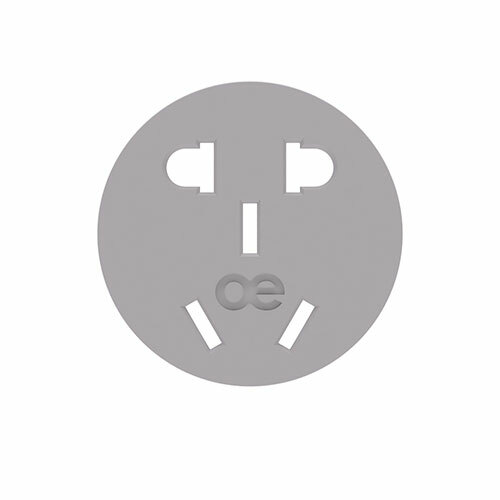 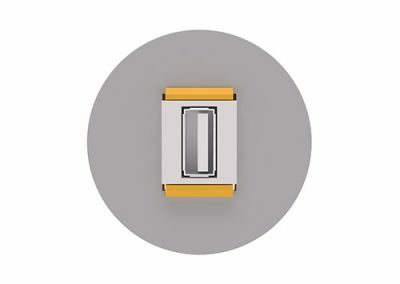 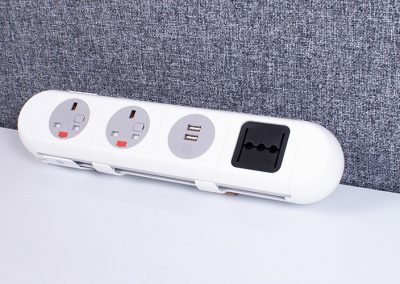 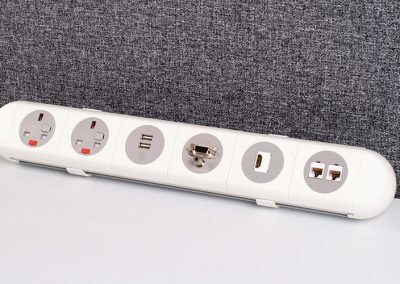 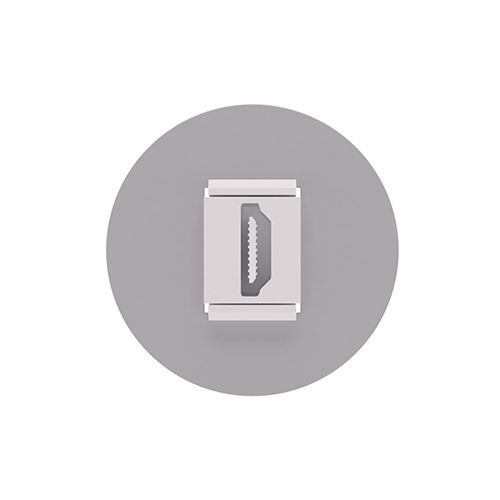 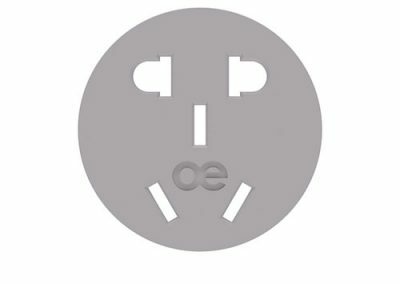 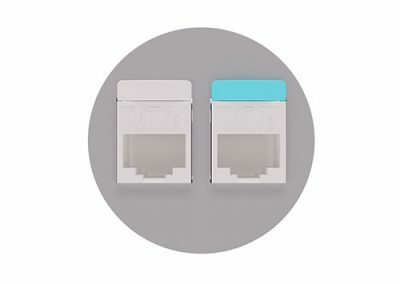 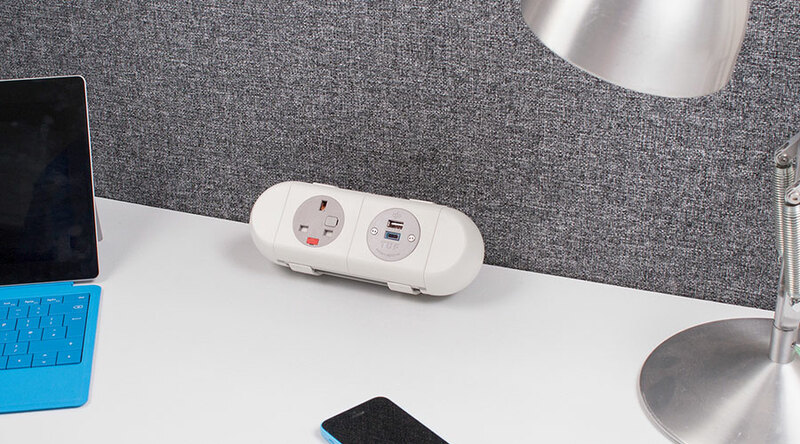 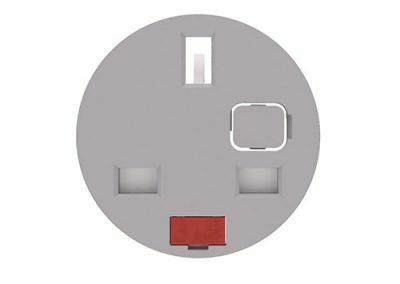 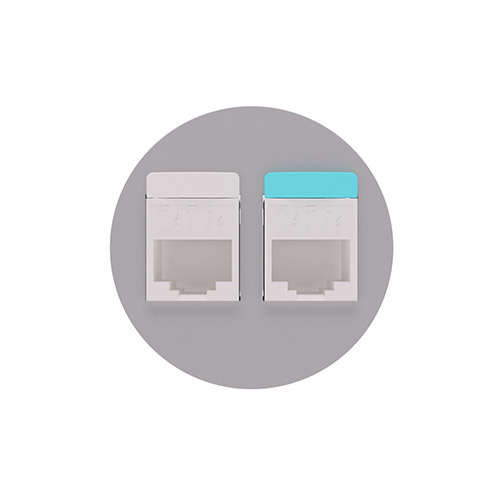 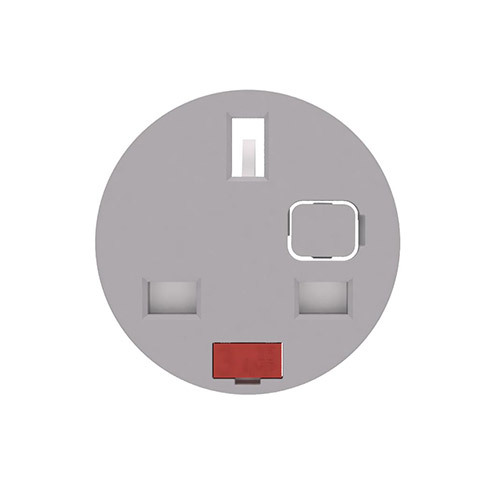 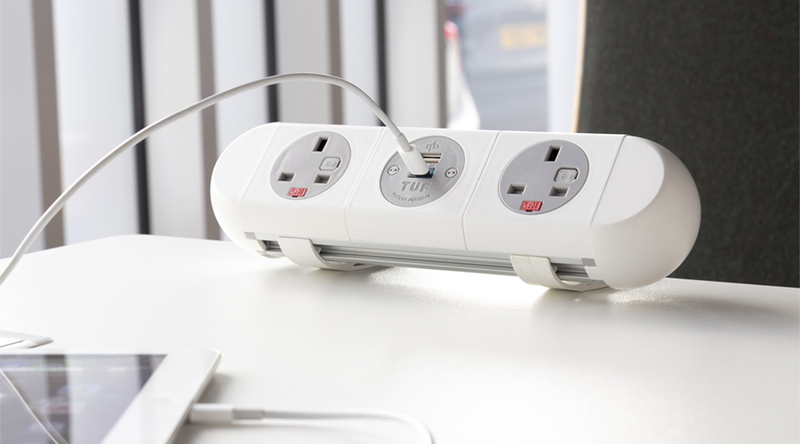 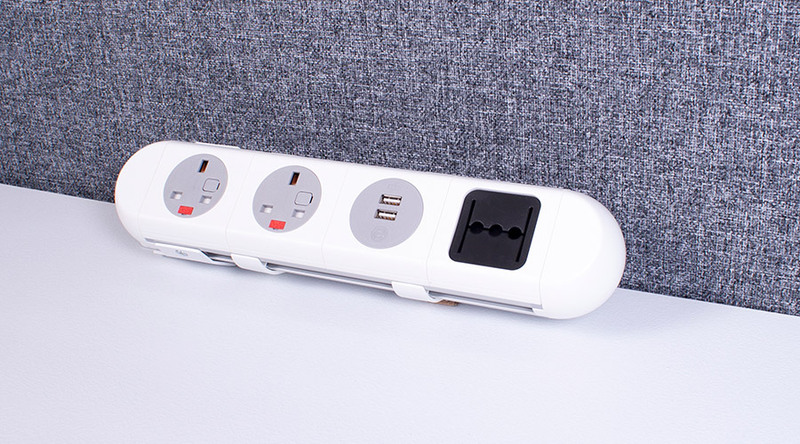 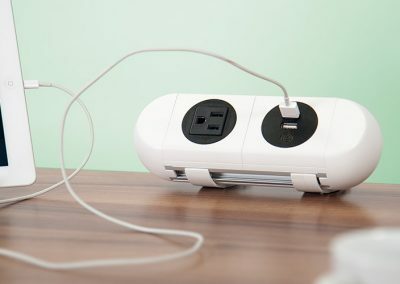 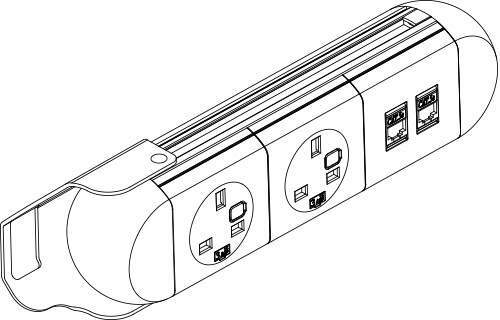 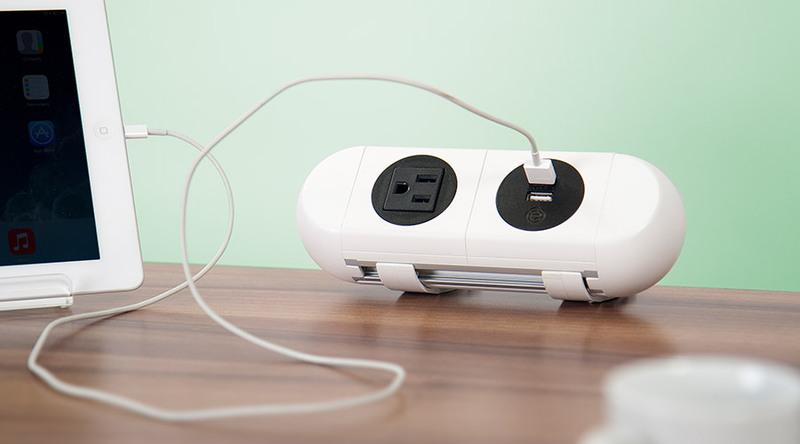 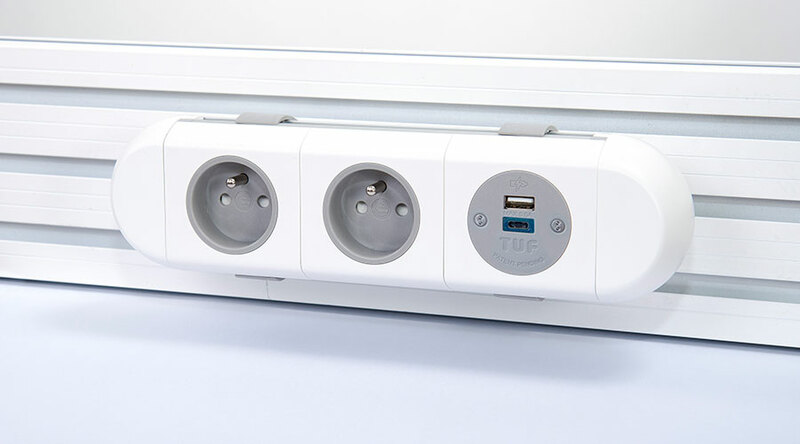 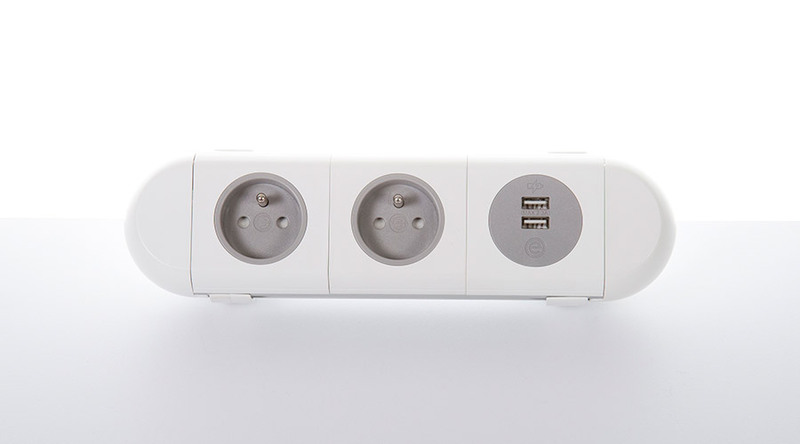 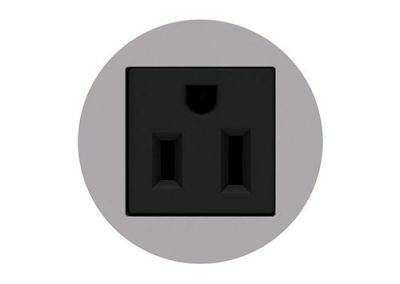 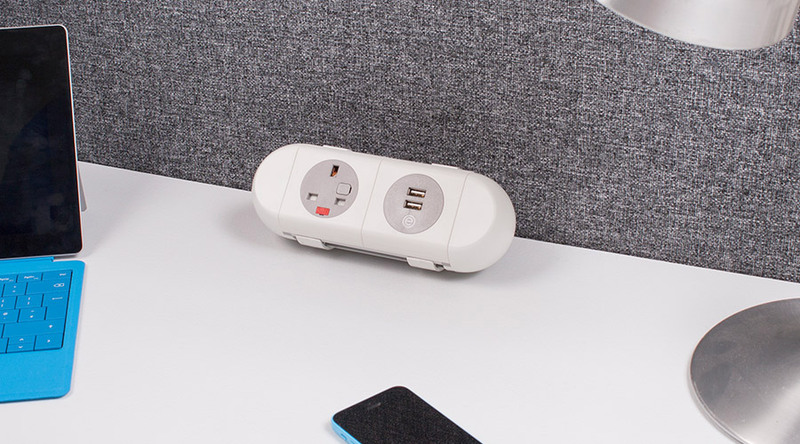 PolarICE can be ordered with a wide range of European and International power sockets from the OE modular range, including Nema 5-15 sockets for North America and our class leading OE TUFA+C25W:Twin USB Fast charger. 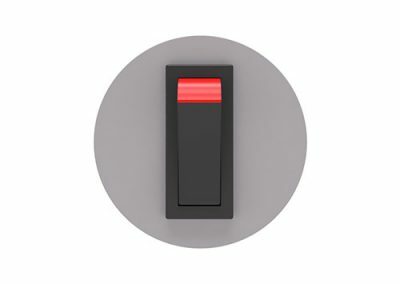 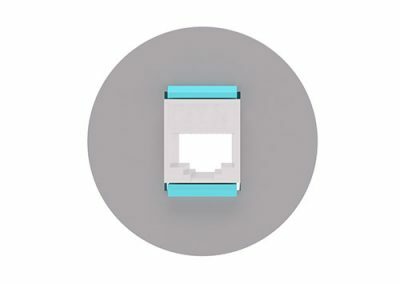 In addition a full range of data and AV connectivity options enable PolarICE to offer unrivaled functionality. 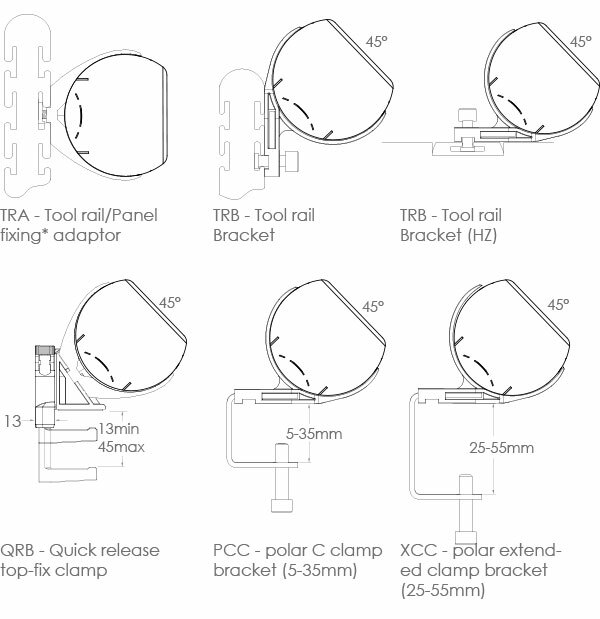 A range of bracket options is available for quick installation of PolarICE on desk tops of varying thickness, and to monitor beams, equipment rails and furniture panels. 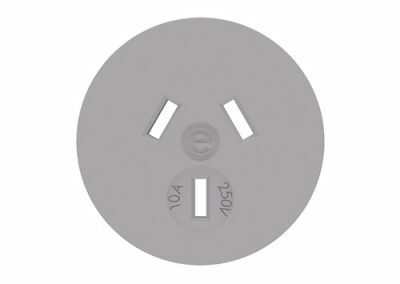 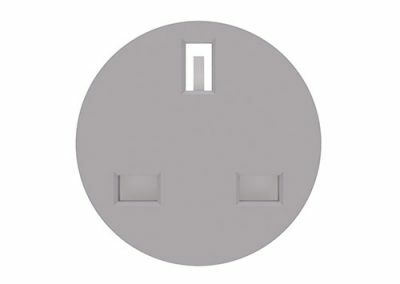 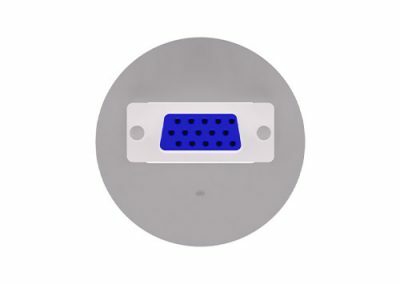 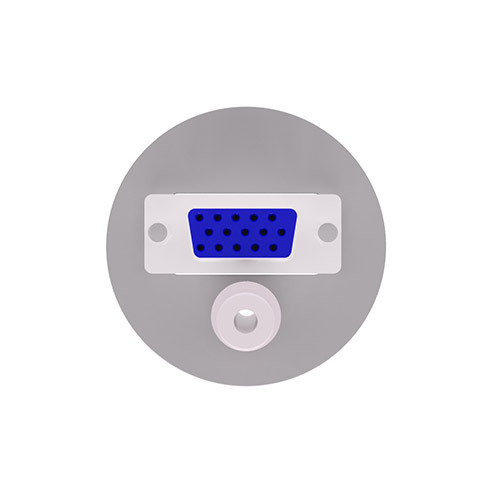 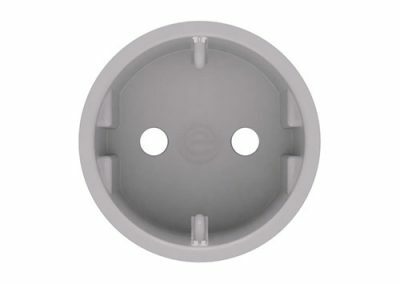 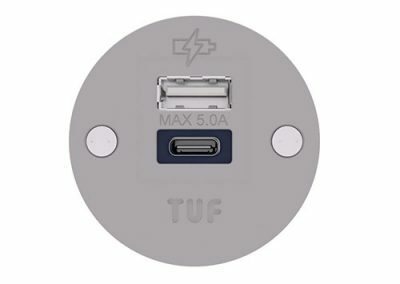 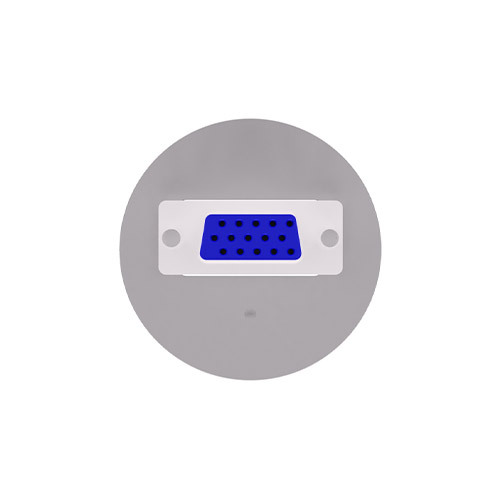 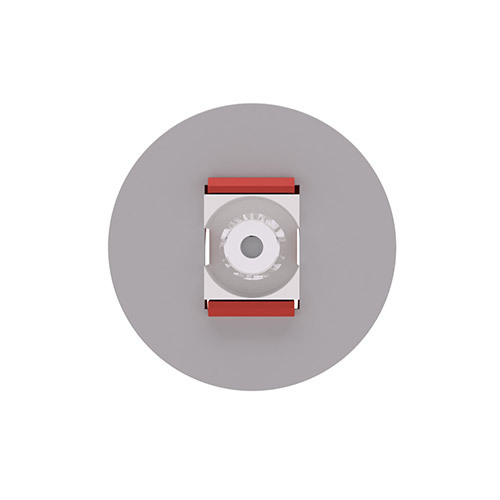 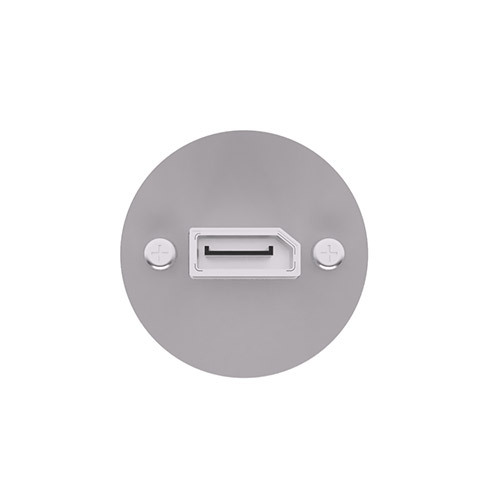 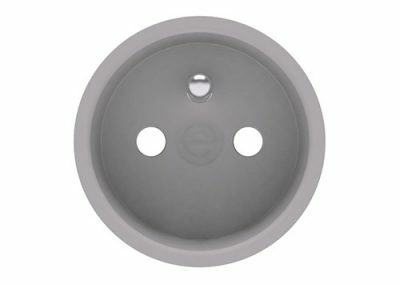 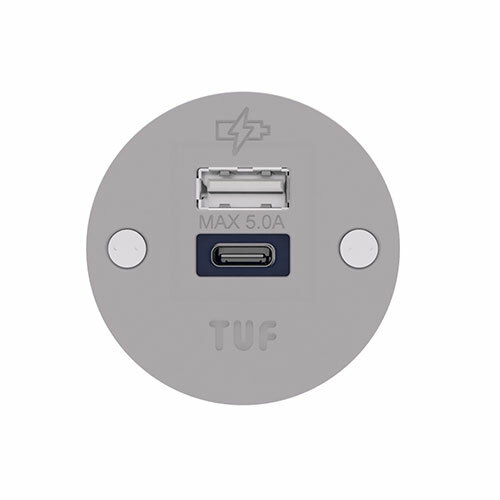 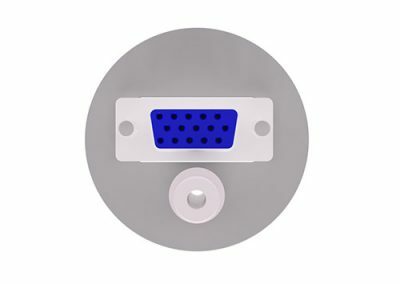 PolarICE socket apertures may be configured with the follwing AC power options from the OE 42mm range or our class leading OE TUFA+C25W:Twin USB Fast charger and most types/makes of Data/AV. All PolarICE units are manufactured using ISO9001 quality controlled components and practices and are 100% tested before dispatch. 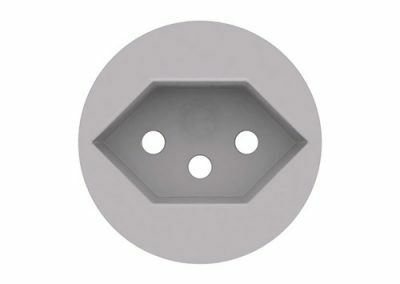 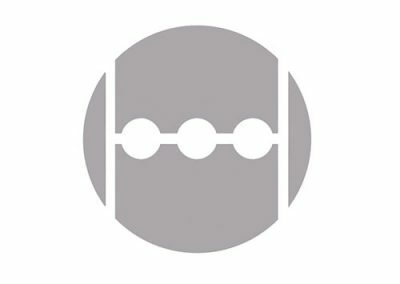 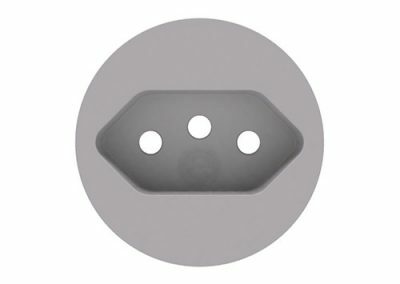 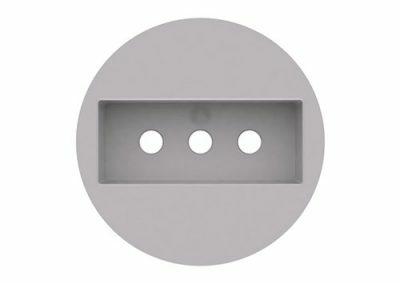 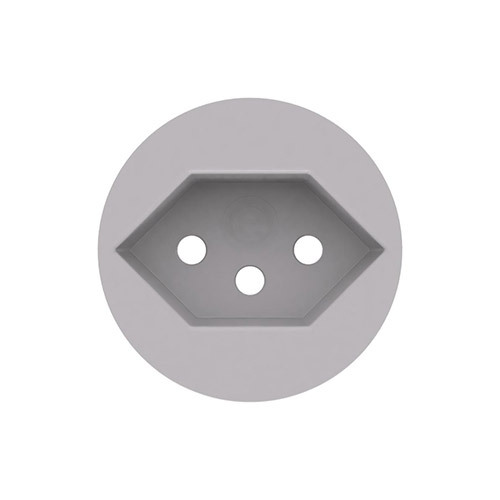 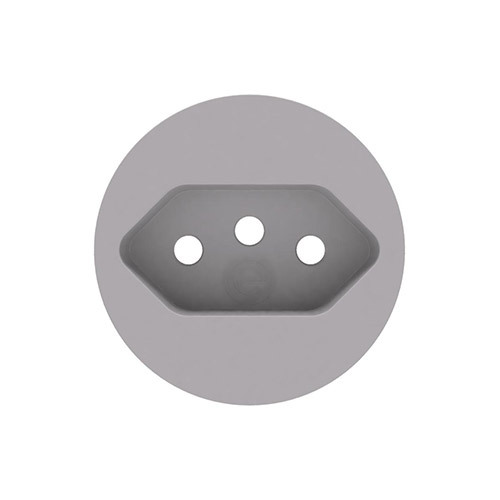 PolarICE is designed to allow brackets to be changed on-site. 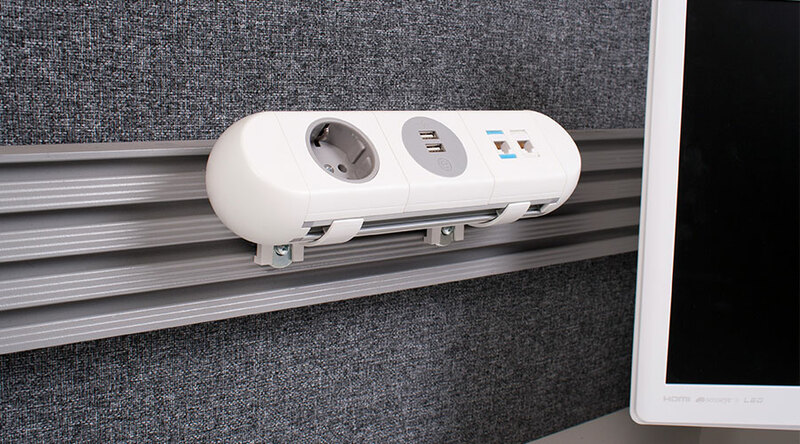 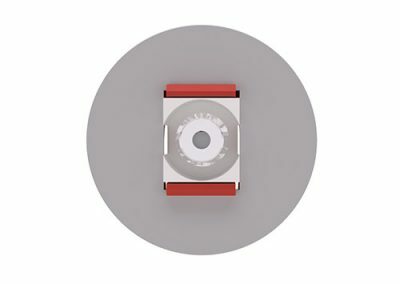 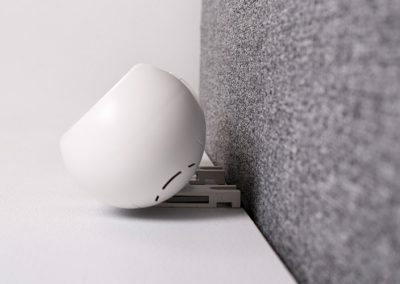 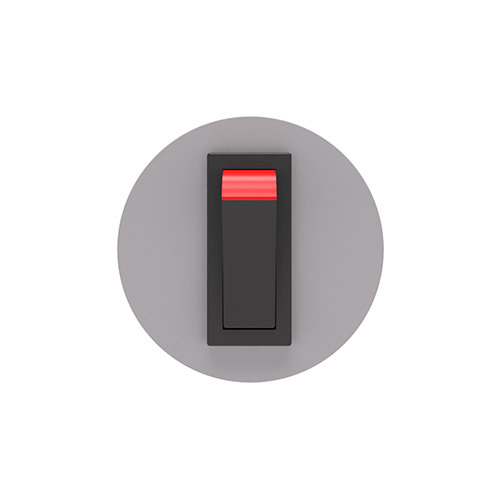 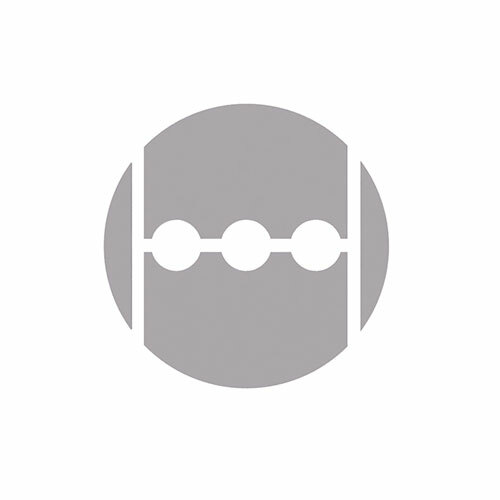 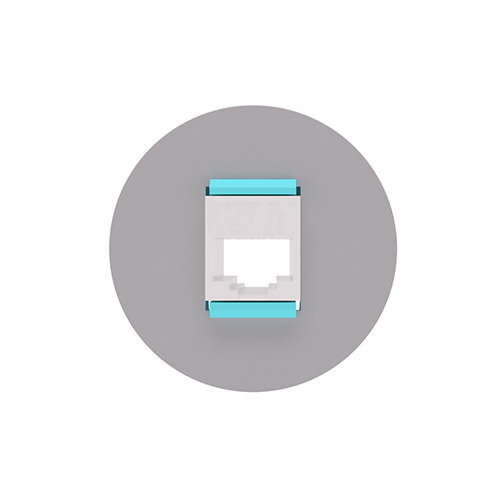 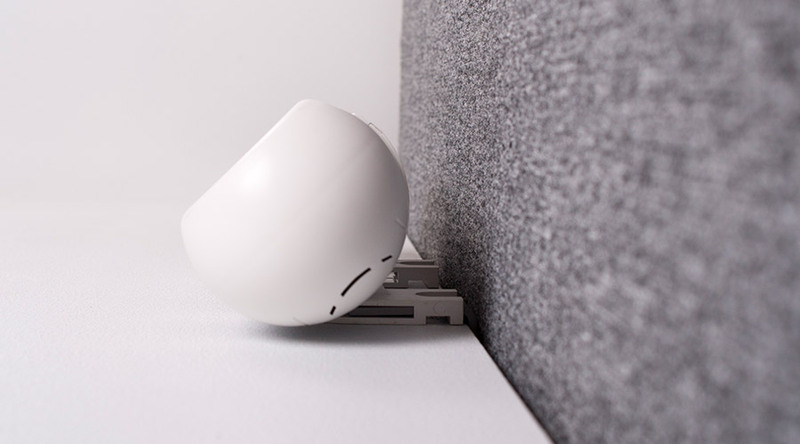 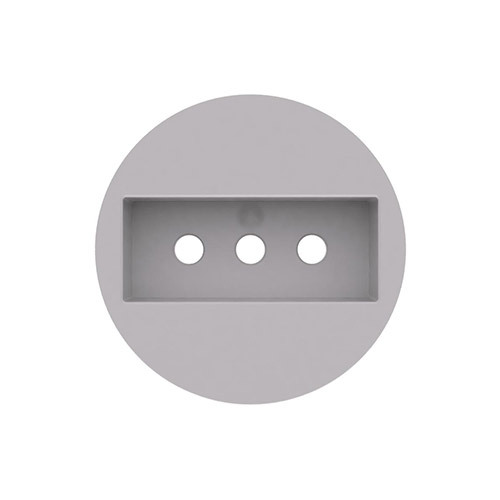 Unless stated otherwise, PolarICE can simply be moved (using the same bracket)or attached to another feature on the desk simply by changing the bracket.